I've posted this before, but it's great so here it is again. I have a folder on imgur filled with old pipe and tobacco ads. I use it on my computer for my screensaver, and it never fails to make me happy when I sit down after being away for a minute. Sometimes I just sit and watch it for a while. Man that was awesome to browse through. I love old adverts like those. That a great share ! Thanks! if I don't have that one already I am adding it! Location: Tampa, Florida, United States. Great post .. I love stuff like that !! 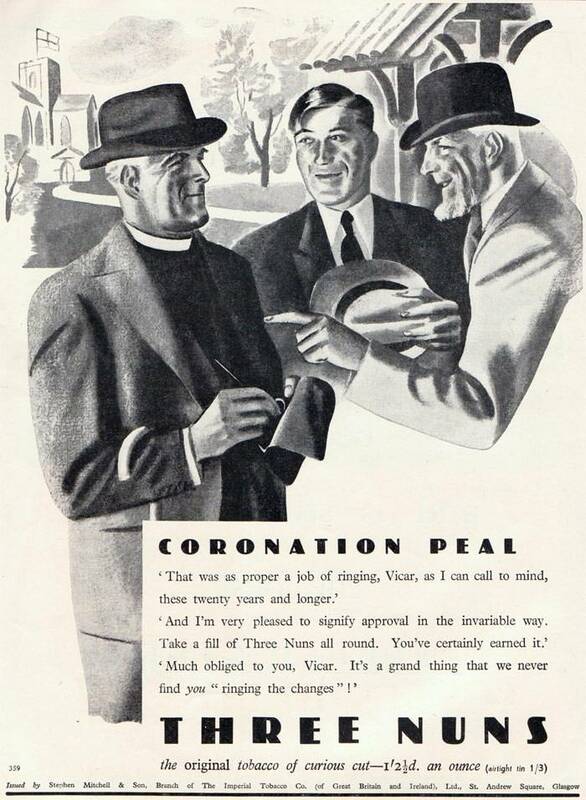 Hey wait a minute .. is that you Father Tom ..
One of the things in this ad I like is the case for selecting a pipe tobacco on the basis of saving money. 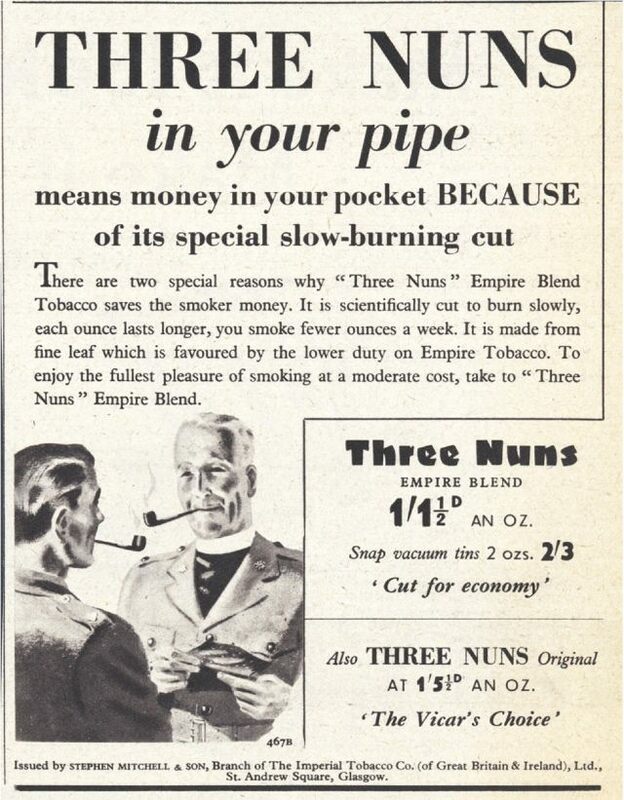 I wish this were still an argument that could be made with regard to smoking Three Nuns.